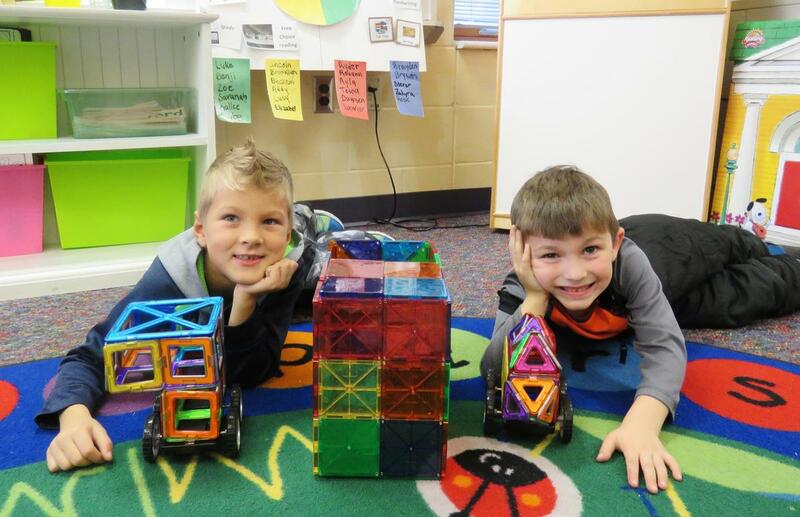 A car, a garage, a pyramid and something that looks like a merry-go-round are all just a few of the many creations students in Molly Bumstead's McFall Elementary classroom have built using Magformers. Bumstead purchased the building toys thanks to a grant from the Thornapple Area Enrichment Foundation. The building toys encourage creativity and early engineering skills. 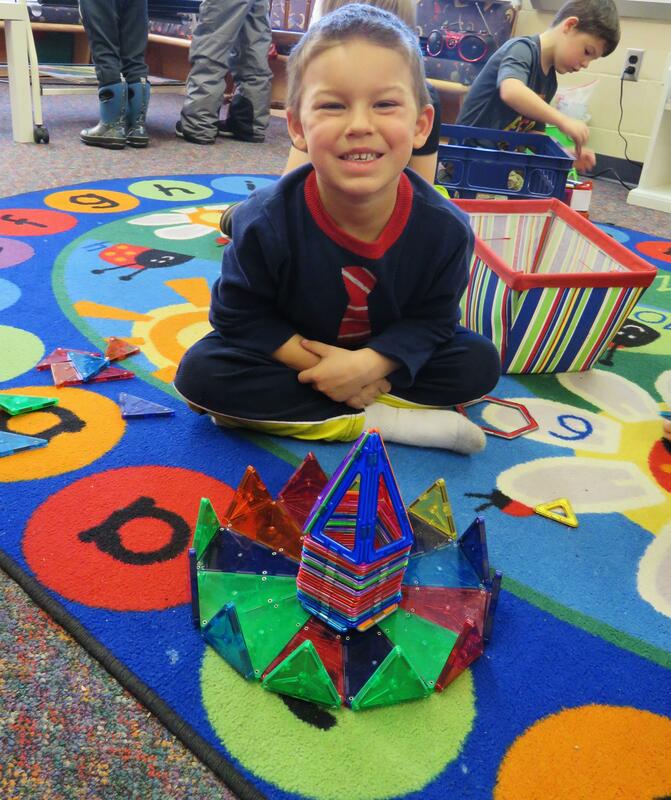 The plastic pieces have magnets so they easily attach to each other and lead to some very creative designs. 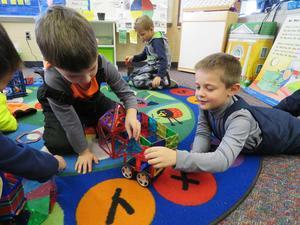 Thank you TAEF for your generous support of TK Schools. 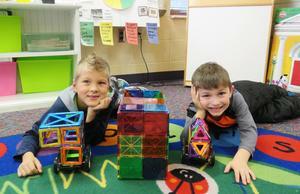 The students LOVE their Magformers!